I have a miserable story to share and would like your inputs and advice for the questions followed below. I started preparing for GMAT, an year back in dec 2017. The preparation was slow and steady till month of Oct 2018. I started from Official guides, all three of them (verbal, Quant and all review guides). In mid June, I realised I was not improving on verbal - my verbal score were constantly dwindling between 19-26 (that was the highest I scored). The first official mock I took was in June 2018, where I scored a 560 - 49 Q, 19 V.
So in June, I bought verbal e-gmat course, it took me 4 months to finish the course with proper notes and scholaranium tests. My Quant scores were consistently varying between 48-50, I had never scored below 48 in any of the mocks I took till my GMAT exam. I bought Kaplan Gmat prep plus 2018 book with 6 practice tests and gave all these mocks. P. S. I gave all these mocks in a single go, in a library under close to test environment. My accuracy was poor in CR and RC, so during the last 10 days I also referred powerscore bible CR. However, RC have been always a daunting section for me. I started with verbal. I was very nervous. I still remember, I started the test with those sweaty palms and quivering hands and trust me, I ain't exaggerating. After first few questions on verbal, I realised that I got very easy questions to answer. And in that 8 mins break, there was a wave of negative vibes, one reason that degraded my performance. And guess what, I got way too easy questions to solve in Quant from question 1 itself. I scored a 560, Q46, V22. I knew nervousness was one of the reasons that I screwed it. But this is not just one reason. I have used official guides, power score CR, e gmat verbal course. I have solved OG twice with solutions. And now, I am clueless. How should I start my preparations again. Or should I go for Gre ? I need to apply in September round 1. My target score is atleast a 700. The schools I'm targeting accept a gre score too. However, I don't want to get into a trap where I'm questioned about giving up on gmat since I have accepted the 560 score too. I want to go for an attempt in 3 months so that I have enough time for my applications, ielts and I could apply in September. Please help me since I have to start it over again, what are the right materials apart from OG's to strengthen my weak areas and reach my target score without the test anxiety and with full confidence. Would be grateful. I'm sorry to hear that Test Day did not go as well as hoped. GMAC has publicly stated that the Official Score that you earn on Test Day is within +/- 30 points of actual ability. Your 2 Official Scores show that you essentially performed the same each time (560 +/- a few Scaled Score points) - even though it's 9 months later. 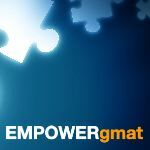 You handle certain aspects of the GMAT consistently well, but you also make certain consistent mistakes. Thankfully, you have plenty of time before the Round 1 application deadlines later this year. That having been said, "your way" of approaching the Exam seems to have gotten you 'stuck' in the mid-500s, so you cannot afford to continue approaching your studies in the same ways as before. Hi Sheetal, I see you scored V37/38/40 in your Kaplan tests, but your official mock test scores are not too far off from what you scored in Verbal in the actual exam. Definitely looks like you have a long way to go in Verbal, to hit your target score of 700+. To add on to what others have said, consider buying one of the official exam packs (e.g. 3&4 or 5&6). Take the official mock under controlled conditions, when you are calm and not stressed out. If your Verbal is still in the low 20s, this suggests the Kaplan tests are a bit misleading and low 20s is your current ability level. In this case, you have a lot of work to do and I would be happy to discuss the specifics with you if you'd like. If your Verbal is back in the high 30s, this suggests that the really bad test day caused your poor performance, and that you should consider whether you should just take the exam again.